Submit your own original t-shirt design and we’ll post it in our Facebook T-shirt design contest. The t-shirt designs with the most “likes” will be printed and distributed for active citizens like yourself to wear at political events, and show support and unity for local control of education. The winners will receive a free T-shirt printed with their winning design. Your submissions must be submitted by Tuesday July 29, 11:59 pm to qualify. Voting will begin on Wednesday morning and will end at Noon on Thursday. Submit a design for both the front and the back of the shirt. Please label these, front or back, in the filename of your submission. The winning designs will be printed on a GREEN shirt, please coordinate your colors to match. The color of the green t-shirt. We will add a green background to your design so voters can see what it will look like on the shirt. We will add the green background so this is what the voters will see on Facebook. 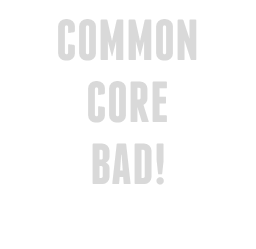 Your design must promote the values of Utahns Against Common Core. Any designs that do not reflect our values or mission, are irrelevant to the purpose of this contest, or are not submitted according to the directions listed on this website will be disqualified. By submitting your design you are donating the design and all rights and privileges pertaining to it, intellectual or otherwise, to Utahns Against Common Core and you agree to the terms and conditions listed on this website. This includes the right to edit your design. It is your responsibility to make sure you use your own original design, and not steal the intellectual work of others. Please submit your design as an attachment to morgan@olsen.org. Include your Full Name, Mailing Address, Email address and Phone number in the body of the email. Make sure the file names of your submission state whether it is the front or back of the shirt. The T-shirt Design Contest is up NOW! Look through this Facebook photo album and like your favorite designs. The Design with the most likes by Noon, Thursday, July 31st will be printed and distributed. The Legislative session starts next week and over 100 education bills have already been submitted with another 100 likely lying in wait. If a few people from each legislative district step forward and read some of the bills authored by their Representative and Senator, then each volunteer would have only a handful of bills to evaluate. We’ve come up with a simple process to make evaluations as easy as possible. To begin, simply contact us for your assignment, download and open the UACC Bill Evaluation Form and Instructions: How to Evaluate a Bill in 5 Steps . Then follow the Instructions contained therein. We encourage you to begin now! Let us reassure you that evaluations don’t need to be perfect, we know you are not a lawyer and don’t expect you to know everything. Multiple people will be evaluating each bill, so if you miss something someone else will likely pick up on it. If you have any questions we will be supporting each-other in UACC’s Facebook Group! 1)Use our Contact Us page to volunteer. Tell us how many bills you will do and we’ll email you back an assignment . 3)Please complete and submit your evaluations by Monday, February 3rd. Doctor Gary Thompson, author of “Dr. Thompson’s letter to Superintendent Menlove“, has given us permission to post his latest Facebook note, “Baby Zoey Say’s “No” To Common Core: A Personal & Eye Opening Experience“, which details his encounter with his daughter’s speech therapist about the privacy of the data collected on his daughter. You’ll love his proactive solution to the problem. (Please note that the opinions stated herein are the sole personal and private opinions of Dr. Gary Thompson and do not necessarily reflected the views and opinions of Early Life Child Psychology & Education Center, Inc., their Board Members, or other licensed clinical employees of the Clinic). Lest I be hypocritical, my two year old is receiving speech therapy services from Jordan District Developmental Center. She was in the program long before I became involved in the Common Core battle or was aware that someone now even at the age of two, can become a victim of Utah’s questionable and fuzzy data privacy laws. Zoey’s speech therapist is simply amazing. It’s free. Its in my home. They have now (last week) equipped our speech therapist with a laptop where the session notes she writes go directly to the Department of Health or wherever the heck they are transmitted to. She saw me on Glen Beck debating these very issues four months ago. She was visibly upset and embarrassed to have to say that to me. Her new young speech therapist employee that she brought along to train, did not have any clue about what was going on, was not told about these data privacy issues, and also was visibly upset. Ina few months, Early Life Child Psychology (and baby Zoey) will have a new private part time speech therapist courtesy of me stealing employees from Jordan School District. We LOVE well trained, passionate public school employees. It pains me to get “hate mail” from across the country stating that I have negative agenda with public school teachers. We will not, however, give up my kids data in exchange for their services…. So, I’m going to steal her, and one other lady I have in mind, and send them into the homes of parents who need these speech services. Privately. No data train. No IEP’s. No fighting with Districts to provide speech therapy to kids with overworked therapists with huge case loads. Our model of client/child care is simply the exact opposite of what the Federal Government is desperately trying to get this community to buy into. It was not difficult to devise a conceptual model of client care for this community. We just simply did the exact opposite of procedure’s implemented in both the Affordable Care Act (Obama Care) and Common Core (Obama Core). Parents of Utah, we have been deceived. All done without directly lying to us parents, but simply by lies of omission. This talented Jordan District speech therapist was actually relieved that I knew what was about to happen with my daughter. I can tell, because in a professional manner, I can tell that “Ms. Doe” loves Baby Zoey. She is easy to love. 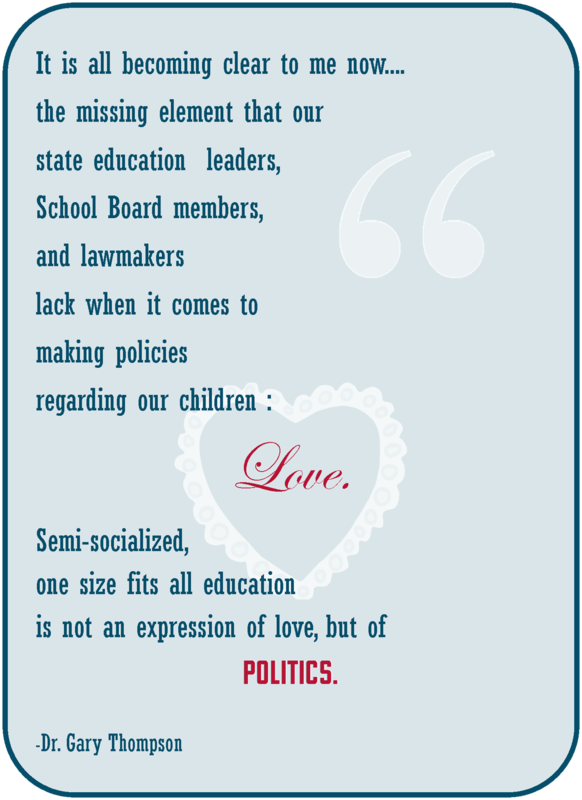 Semi-socialized, one size fits all education is not an expression of love, but of politics. The random and extensive data gathering that Jordan District wanted to accomplish with Baby Zoey was not an expression of love, but is simply a indication of bowing to the pressures of a distant federal government, and private business entities and special interest groups that want money. Data is Gold. The young, talented speech therapist employed by Jordan School District that came into my home loves my sweet baby toddler…..
……the District that employees Zoey’s therapist, simply are not capable of modifying practices that best meet the needs of both Zoey and her parents because they do not “love ” her. You all must decide what is best for your kids involved in public schools. I plead with you to make informed decisions that revolve around the unprecedented and massive changes that have now arrived in public schools in Utah. It sickens me to say this, but leaders in this State whom we have entrusted the care of our children to, are deceiving us. Republished and edited with permission. Is the USOE Practicing Psychological Profiling on your Child? Do you know what Psychological Profiling and Perception Data are? Then Psychological Profiling is the use of psychological characteristics or behavior patterns to make generalizations about a person. Did you know your child’s success is determined by whether they Master the CCGP outcomes? Did you know School counseling programs’ are evaluated on whether they made progress towards full implementation of the CCGP Student Outcomes? Even though each school is urged to create its own CCGP Program with its own competencies and the Utah’s CCGP Models says the “117 indicators listed in the Utah Standards for Student Competencies… are not meant to be all-inclusive.” (45), the scoring rubrics (222) for the Program Audits require increasing alignment with Utah CCGP Student Outcomes over time. Under this evaluation method schools will eventually be fully aligned with Utah’s CCGP Student Outcomes, and psychological profiling will become mandatory throughout all of Utah’s CCGP programs. If a school doesn’t score well enough they will lose grant money tied directly to the CCG Program, and some of the Guidance Counselors will lose their job. Are you aware the USOE tells school Guidance Counselors to collect Perception (Belief) Data from your child to create “programs and activities designed to provide extra time and help to those students who need it”? What kinds of programs do you think a guidance counselor would create to deal with this sort of “problem”? Do you think it’s okay for the USOE to create desired Student Outcomes for Students’ beliefs without parental input? Do you think it’s okay for the USOE to create desired Student Outcomes for Students’ beliefs at all? Do you think it’s appropriate for the state to do this in the name of education? Know your parental rights and exercise them. See What are my parental rights? For more information. Do not sign permission slips allowing schools to collect personal data from your child. Exercise your right to review the curriculum before signing anything. Teach your child what is appropriate to share with others and what is private information. Tell your Educators, and Elected Officials you are against the inappropriate collection and transfer of data by Utah’s State Longitudinal Data System and against the collection and use of perception data in any school system. Ask Legislators to defund Utah’s SLDS. See our Action List to learn more about how to contact your Elected Officials. (8) income (other than that required by law to determine eligibility for participation in a program or for receiving financial assistance under such program), without the prior consent of the student (if the student is an adult or emancipated minor), or in the case of an unemancipated minor, without the prior written consent of the parent. Here is a brochure to help teach your children to say NO to these types of questions. (h) income, except as required by law. (2) Prior written consent under Subsection (1) is required in all grades, kindergarten through grade 12. (1) (a) Under both the United States Constitution and the constitution of this state, a parent possesses a fundamental liberty interest in the care, custody, and management of the parent’s children. A fundamentally fair process must be provided to parents if the state moves to challenge or interfere with parental rights. A governmental entity must support any actions or allegations made in opposition to the rights and desires of a parent regarding the parent’s children by sufficient evidence to satisfy a parent’s constitutional entitlement to heightened protection against government interference with the parent’s fundamental rights and liberty interests. (b) The fundamental liberty interest of a parent concerning the care, custody, and management of the parent’s children is recognized, protected, and does not cease to exist simply because a parent may fail to be a model parent or because the parent’s child is placed in the temporary custody of the state. At all times, a parent retains a vital interest in preventing the irretrievable destruction of family life. Prior to an adjudication of unfitness, government action in relation to parents and their children may not exceed the least restrictive means or alternatives available to accomplish a compelling state interest. Until the state proves parental unfitness, the child and the child’s parents share a vital interest in preventing erroneous termination of their natural relationship and the state cannot presume that a child and the child’s parents are adversaries. (c) It is in the best interest and welfare of a child to be raised under the care and supervision of the child’s natural parents. A child’s need for a normal family life in a permanent home, and for positive, nurturing family relationships is usually best met by the child’s natural parents. Additionally, the integrity of the family unit and the right of parents to conceive and raise their children are constitutionally protected. The right of a fit, competent parent to raise the parent’s child without undue government interference is a fundamental liberty interest that has long been protected by the laws and Constitution and is a fundamental public policy of this state. (ii) the state’s role is secondary and supportive to the primary role of a parent. (e) It is the public policy of this state that parents retain the fundamental right and duty to exercise primary control over the care, supervision, upbringing, and education of their children.